We have had unsolicited feedback from two students. Both have issues of depression, and both have said that their time at the farm is the happiest they are in the week. This is what we are here for, that is our prayer – to make young lives better, and that feedback has profoundly affected all the staff here at the Trust. Much of the time the effect we have on students is hidden from us; encouragement like that helps us to know that God is at work here. The start of the spring term has seen us at 88% capacity. However one student has now withdrawn from the project (two sessions per week) which leaves us with 12 out of 16 sessions filled, or 75% capacity. We were very grateful to have received a grant at the start of the year from the Ed De Nunzio Trust, a local grant making trust aimed at supporting charities who work with young people in York. This is a real answer to prayer and we would value further prayers to be able to spend their money wisely. We have also been in local Tesco stores for their ‘Bags of Help’ scheme, and have been awarded a grant of £2000 from them. This is a great encouragement to us as we were voted for by members of the public. The open ing of Polytunnel 2 was a success and we were joined by the North Yorkshire Police and Crime commissioner. Radio York interviewed her and us. Richard May and Dan Beech took the opportunity to talk about our desire to raise funds to work with young offenders. For this project to happen we need to raise more funds – please pray for Gods guidance and provision for this. 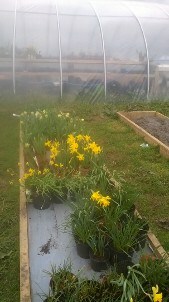 We started growing bulbs in pots for sale in the New Year, using the newly set-up polytunnel 2. The workspace and design allowed 2 students and 4 adults to work side by side to get 150 pots planted in about half an hour. So far, plant sales this year have come to £261, including £106 from one school fete. One shelf for standing water in Polytunnel 2 is now complete, and three indoor plastic lined beds which saves us much watering effort, and is a much better solution than the dug-out bed we tried in Polytunnel 1. 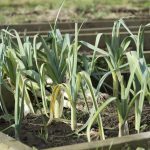 Similar outdoor watering beds help us to harden plants off, and we are learning a lot about how to make the most and best use of our great facility. 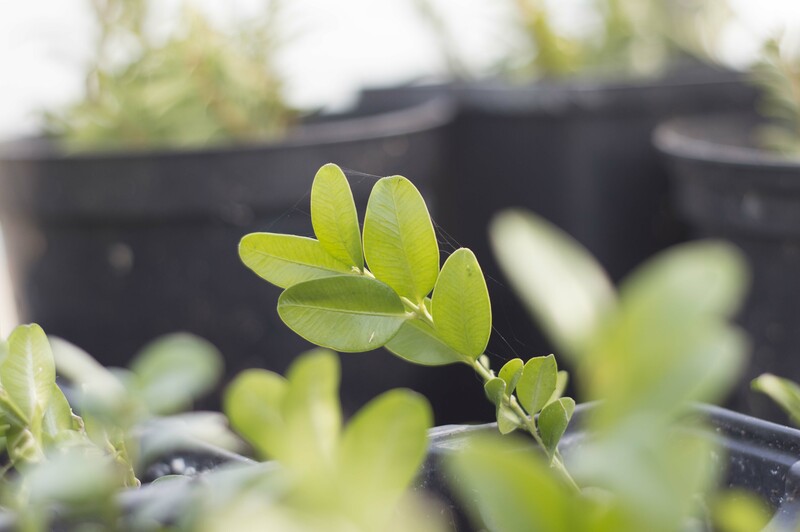 One student has expressed an interest in learning how to grow and sell plants, so this is a great opportunity for us to show him how he can do this. We’ve also made good progress on the new soft fruit beds; Most of the rhubarb and fruit bushes are now transferred, so the old fruit bed can be cleared down and made tidy. We are now preparing ground for spring planting. We start every day with all staff and students doing half an hour of weeding, and as a result, all beds in the allotment are ready for planting. B&Q have started supplying us with scrap wood, which is useful to us, when we can pick it up with a borrowed trailer. 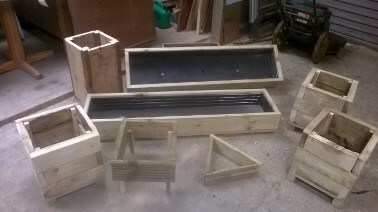 So far we have made a number of planters with it, and have sent photos to B&Q who are delighted that their scrap is being put to good use. They have the photos up on a wall in their staff room. York College came to visit at the end of last term, to see if there was any way in which they could support us as a charity. We have agreed in principle that some of their building skills students (budding carpenters, plumbers and electricians) will come on placement to help us build infrastructure. This solves a problem for them too, since it is sometimes hard for them to find suitable placements. Dan will be having a meeting with the Head of Department to work out the details. The avian flu scare is just over (sort of), most of the poultry restrictions were lifted last week, and the ducks and geese have more room to wander. But the chickens have an outbreak of scaly leg mite, which involves twice weekly treatment with surgical spirit and Vaseline on their legs. Catching the chickens is something to see. As always, we are grateful to you for your support in helping us to positively impact the young people that we work with.